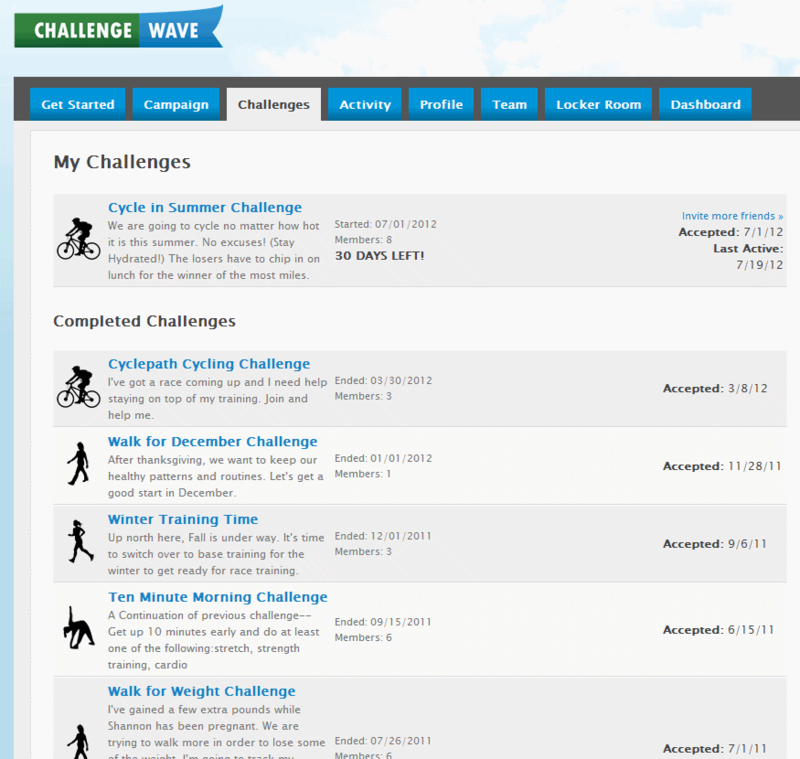 ChallengeWave is a private, online community helping people start and stick with healthier lifestyles. 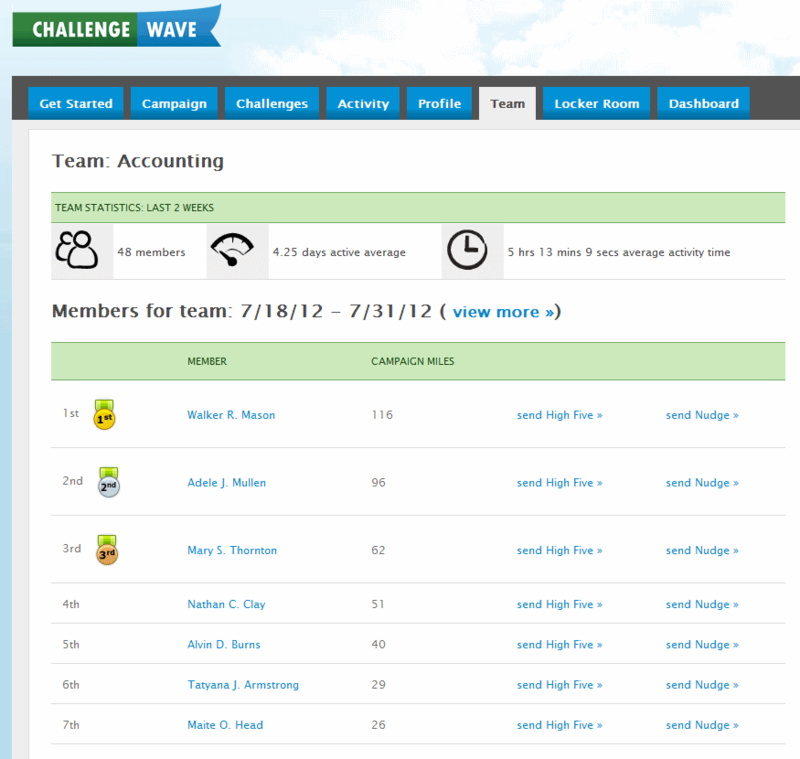 ChallengeWave makes it easy for employees and employee dependents to stay engaged in healthy lifestyles. 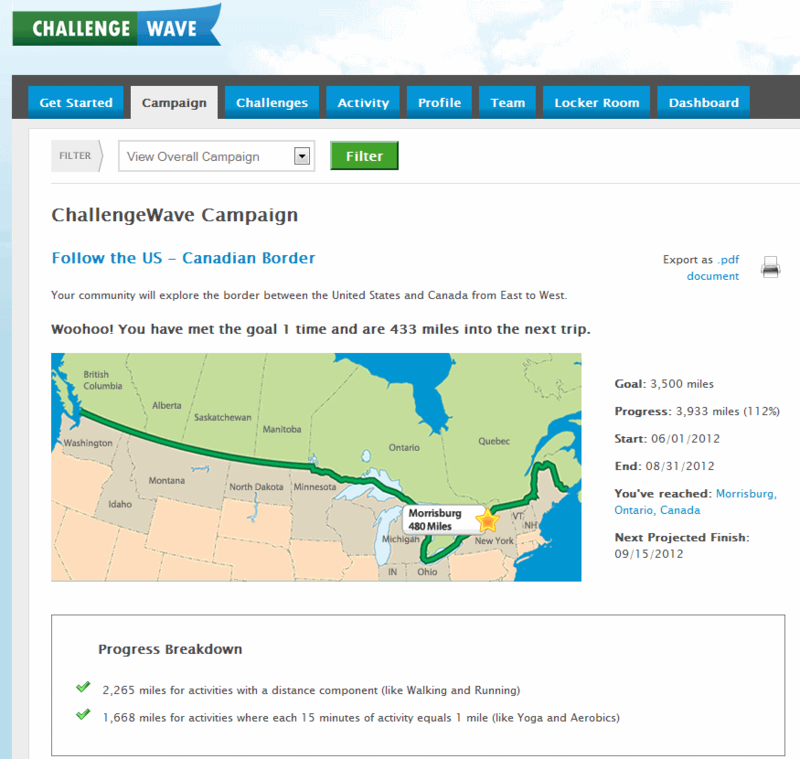 Download our brochure about ChallengeWave for more information. Connect with your co-workers and friends for a common health goal. Challenge each other to stay fit with many activities to choose from: basketball, weightlifting, surfing, biking, yoga, even Wii!! Learn about registering yourself. 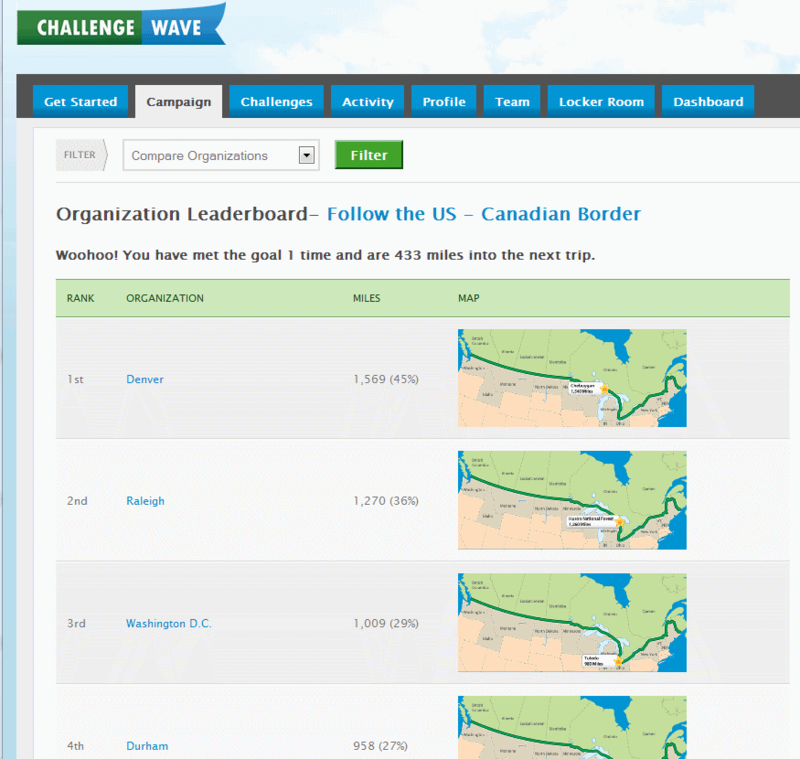 Easily start a healthy challenge with your employees. Designed for the busy HR/Wellness coordinator, employees work together to recruit and motivate co-workers and dependents in physical activity campaigns. Learn about registering your organization. Our subscriptions can cost less than a latte per employee. We have a range of services to fit your needs. From a standalone offering to private label custom fit options, data and systems integration as well as custom themes and layouts, we'll build the right pricing for your group. Contact us to find out more ». Give us a shout. We believe in and support the work of non-profits. We can walk you through the program highlights and tour the software in 30 minutes. Contact us to set up a demonstration ».